What Will Be Your Environmental Legacy? 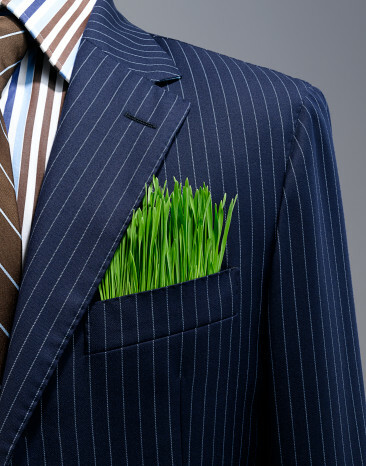 Sustainability, going green, eco-friendly. It seems like everywhere you look in the manufacturing sector, you find references to these trends. Companies of all sizes in all locations are paying more attention than ever before to what kind of impact their business has on the environment. While this trend is certainly a positive one, there are still some significant issues facing Australia’s environment. The companies that often have the largest impact on the natural world are in the industrial sector, which means it is the responsibility of businesses in this field to do everything that they can to minimise their detrimental effect on the environment. Like any other modernised country that offers a high standard of living, Australia has some pressing environmental issues that future generations of leaders will need to solve for posterity. According to WWF Australia, deforestation is one of the most significant problems facing the country today. When trees are cut down, it has an impact on the quality of nearby soil, which can lead to problems in the water supply of these areas. It is estimated that the degradation of land because of deforestation activities costs about $1 billion every year in Australia. Another big problem is pollution. Australia in particular has a serious problem with air pollution: The Sydney Morning Herald reported in May of 2014 that while the death rate from pollution in other developed countries like the United Kingdom, Germany, and the United States went down between 2005 and 2010, in Australia this number went up 68% in the same time period. 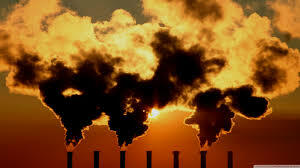 The estimated economic cost of deaths from air pollution in Australia was at $5.8 billion in 2010. Although the numbers regarding environmental problems in Australia are of great concern, the news is not all bad. There are many companies and organisations that are attempting to buck the trend and help the country get on track for successful environmental preservation. At Victoria University, for example, programs are offered to businesses that are looking to reduce waste and energy consumption. This allows companies to use the most modern techniques available for sustainability so that they can do less harm to the natural world. The prominent Sydney-based company Manufacturing Skills Australia has also been leading the way when it comes to green manufacturing. MSA recently outlined strategic goals that the manufacturing industry should be striving towards when it comes to sustainability. 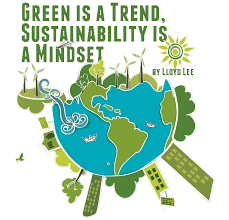 The organisation’s goal is to make sure that today’s manufacturers are equipped with the skills to meet current and future environmental challenges relating to sustainability. In order for Australia to address its environmental issues in the coming years, every manufacturing company must do its part to improve the situation. Even if you believe that your business is too small to have an impact on the environment, you still need to do everything possible to make sure that your company is practicing sustainable manufacturing. One of the best ways to do this is by educating your employees. There are plenty of models available for you to follow so that you can help your team better understand the principles of sustainability. For example, in 2011 MSA released new packages of sustainability skills for those who are interested in improving their understanding of green manufacturing. Even if you aren’t able to send your employees to these kinds of classes, you can model your organisation’s in-house education on them by incorporating some of the relevant skills and techniques that they cover. Another great way to improve your sustainability and reduce your environmental impact is to upgrade the equipment in your facility. The more modern your facility is, the less of a negative impact it will have on the environment. For example, if you need to maintain a certain temperature in your storage or manufacturing zones, consider improving your insulated doors so that you can use less energy trying to attain the perfect climate in your facility. Although the initial cost of installing and / or replacing old equipment with new, modern equipment may require a significant investment at the on-set, the cost savings in the long term will benefit your business by consuming less energy (less of those pesky bills) and requiring less maintenance and spare parts over the years - as upgraded equipment makes use of better designs, advanced manufacturing and more effective testing to reduce the wear on parts. For example, the Movidor High Speed Door by Remax, which has undertaken many improvements over the years, and the new design features a Self Relocating Curtain. The design of the Self Relocating Curtain means that there are less call out costs (if not completely eliminated) to repair the curtain and door frame once it has been impacted by vehicles, and therefore less wear and tear compared to standard high speed doors. Environmental issues are some of the most pressing challenges that Australians are facing today. Although these are grave problems, with the manufacturing industry leading the way it is possible to correct these issues and make sure that we leave a positive legacy for future generations. Read about a recent installation of Movidor High Speed Doors at Clipsal to increase the efficiency of doorways in their facility at Gepps Cross, South Australia. Click here.